Do You want to know about online market research before starting your Business?? 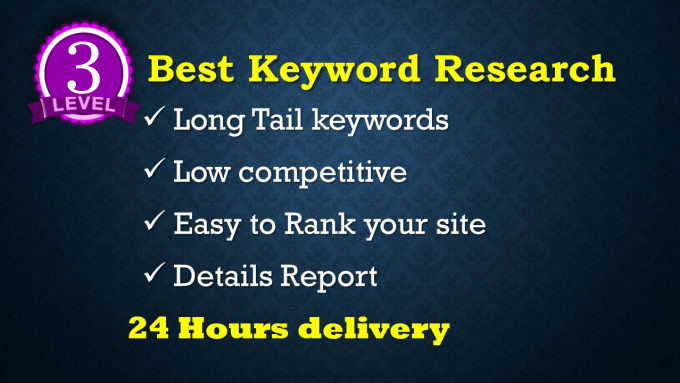 Exactly the 1st thing you need to find the best niche and appropriate keyword research to get thing start. If you targeting wrong and bad keyword research, then it will cost your money, time and business. Please don't get stress, I will help you to find the best profitable and appropriate keywords targeting to your business niche. Also I will research your top competitors to find the weakness to puss them down. Just provide me your niche or seed Keywords and targeting location. 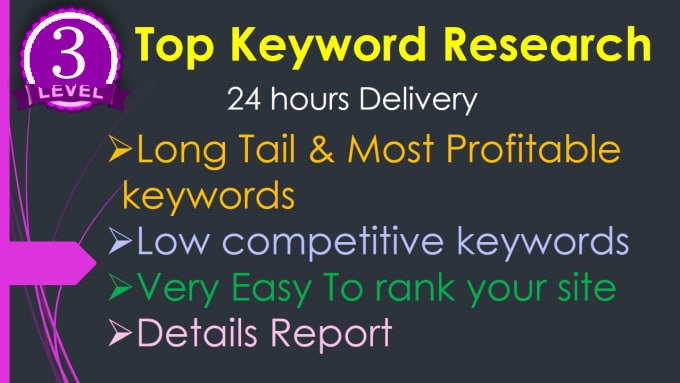 Give you best keywords I found. Full Color report in highlighted Excel file format.